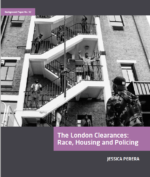 Free downloadable briefing papers and reports on race and racism in the UK, covering a breadth of areas including the attack on multiculturalism, deaths in custody, the domestic impact of the ‘war on terror’ and racial violence. A report on the future of human rights in Britain. A report on how racial violence is shaping the UK. A report focusing on racial violence in Peterborough, where the city’s migrant workers have been demonised and vilified by the tabloids in recent years.